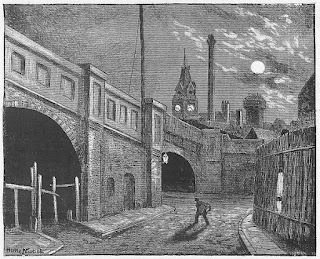 The Macabre Observer: Jack the Ripper's old haunts, a return to Murderland 1890. 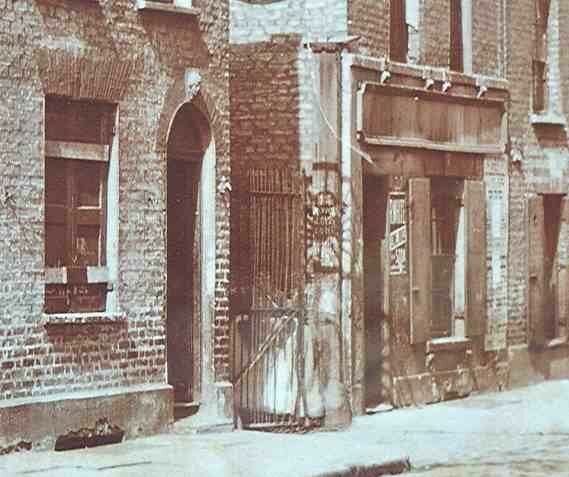 Jack the Ripper's old haunts, a return to Murderland 1890. MURDERLAND RE-VISITED, PALL MALL GAZETTE. 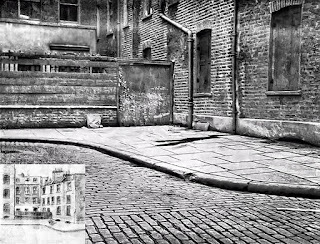 A TOUR OF JACK THE RIPPER'S HAUNTS IN WHITECHAPEL. It is announced today that "the police are taking extra precautions in Whitechapel this week" For such precautions there is plenty of room. 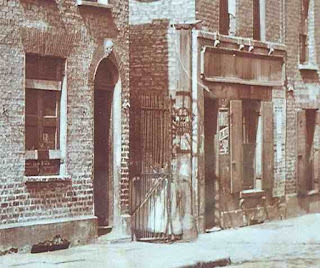 It is now just two years ago since "Jack the Ripper" was busy with his devil's work in Whitechapel, but next to nothing has yet been done in any one instance to prevent another murder taking place tomorrow night, on any one of the selfsame spots on which a mutilated corpse once lay. 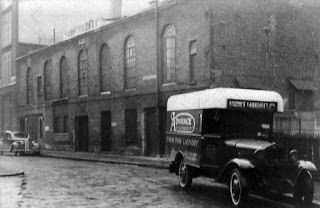 Again, although at the time of and for some weeks after, the murders nearly every other person that one ran against in Whitechapel was either a uniformed or a plain-clothes policeman, their numbers were gradually reduced with the subsidence of the scare, until the force stationed in Whitechapel today is just about the same in point of numbers as when the assassin's knife first commenced its deadly work, and in point of efficiency, probably even worse. These are strong and even startling statements to make, but they are supported by a close personal investigation which has been undertaken on behalf of the Pall Mall Gazette throughout the length and breadth of Murderland, the results of this investigation are recorded in the following article. I went first to the scene of the very first murder the landing of the common lodging-house in George-yard, where Martha Tabram's dead body, shockingly mutilated, was found on the morning after a Bank Holiday. It is true that, on the recommendation of the coroner's jury who investigated the circumstances of her death, a lamp was fixed there, and it is true also that it exists at the present time. But then, lamps can't be alight all night in common lodging-houses, so the landlords say, and, if what some of the tenants say be true, after eleven or twelve o'clock at night the lamp is turned out, and in every essential respect the landing assumes the appearance it bore when Martha Tabram was done to death there. Yet it was between two and three o'clock in the morning when she was murdered. 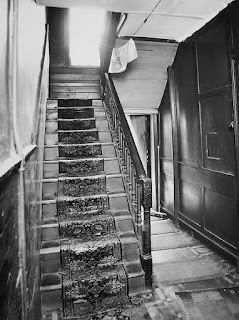 Policemen seldom if ever visit that landing now, it is no part of their beat, and the only contingency to be faced by any would-be murderer who should take his victim there after midnight tomorrow would be the arrival of one of the occupants of the upstairs tenements. And even that contingency is a very improbable one, for the occupants are nearly all of them unskilled labourers, the exigencies of whose work leave them no opportunity for midnight dissipations. 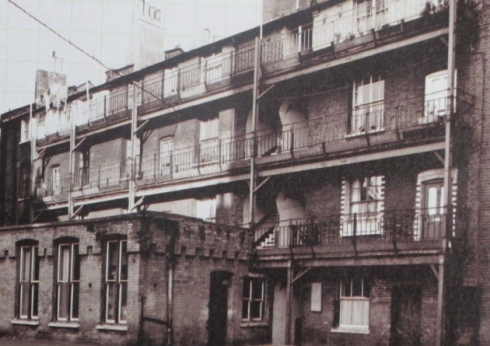 Then, take next, that blank wall in Buck's Row where the next victim was butchered. Nothing whatever in the way of change of any kind has taken place there. unfortunates who were in the habit of sleeping there. After the tragedy even the unfortunates fled from it, and its pavements only resounded at night to the measured tread of the temporary police patrol. But now the unfortunates have forgotten the fate of their "pal" the police patrol has been withdrawn, and passers-by at night are rarer than ever. It might, perhaps, be a slight exaggeration to say that the murderer of Annie Hyde would find it just as easy to repeat his hellish work to-morrow night, for a police "point" has been established a little nearer Buck's Row than formerly, but this at all events can be safely said that the operation would be attended with but the merest fraction of increased difficulty. A curious illustration - or rather, proof - of this statement occurred in the course of my investigation. At about one o'clock on one morning I happened to be near Buck's Row, when my attention was attracted by violent screaming, evidently proceeding from that locality. I proceeded there and found, lying on the pavement within twenty yards of the scene of the murder, a woman evidently pretty far gone in drink. She was bleeding from a wound in the temple, sustained, perhaps,in her fall to the ground, and had taken to an hysterical fit of screaming. It was actually between four and five minutes before a policeman arrived on the scene to know "what all the row was about." He tried, on finding her condition, to "move her on," but the woman violently resisted, and even attacked him. Assistance was evidently necessary then to take her to the police station, and the writer, with hearty goodwill, set about blowing a police-whistle which he had with him. Yet, with all that hullabaloo, another three minutes were required for a second policeman to put in an appearance. It was only a drunken woman, you say? True. But it might have been a victim screaming in her last agonies, and eight minutes to get two policemen together on the very scene of a former murder is a big start to give the quick heeled Ripper. It would make all the difference between his capture and his getting safely off with another murder added to his long record. 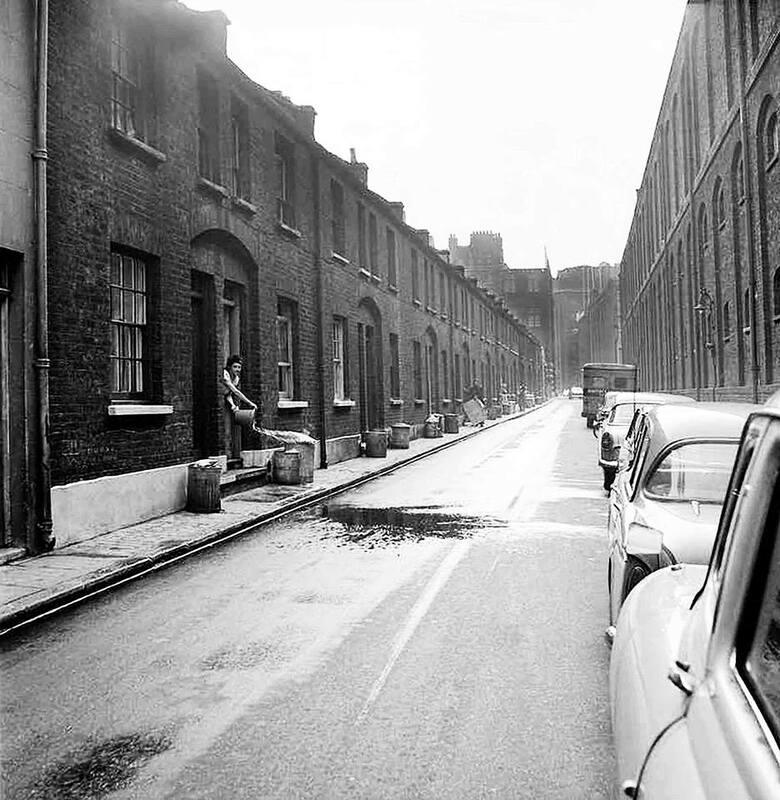 Mitre Square and Berner Street. Mitre Square - the scene of probably the worst butchery of all - is undoubtedly better patrolled than it used to be; the beats have been shortened, the policeman's bullseye flashes its light all round the square far too frequently to allow of such a deliberate and cold-blooded butchery as occurred there before. But then the Metropolitan police force can take no credit for that. The credit, if any, belongs to the very much better organized and much more adequate City police. The self-same Sunday morn that heralded the discovery of the Mitre Square victim was the one that found another unfortunate lying in the gateway in Berner Street, St. George's East, with her throat cut. It is true that since that time the gateway has been religiously closed after the last van has entered it. But then the vans are sometimes very late in arriving, and what is there to prevent a murderer decoying another victim there? at the International club next door to effectually drown a faint shriek. 'But what about' the policeman on the beat, you say? The police on that beat have got so tired of opening that gate and finding nothing there since the murder that they have long ago despaired of ever finding anything, and consequently pass it now with the most complete indifference. And, even should, by the most remote possibility, the murderer be disturbed by anybody opening the gate from the street entrance, he is by no means caught in a trap, for there are plenty of backyards that can he scaled, and a great many courts and passages, leading to Berner and other streets, to be easily reached. 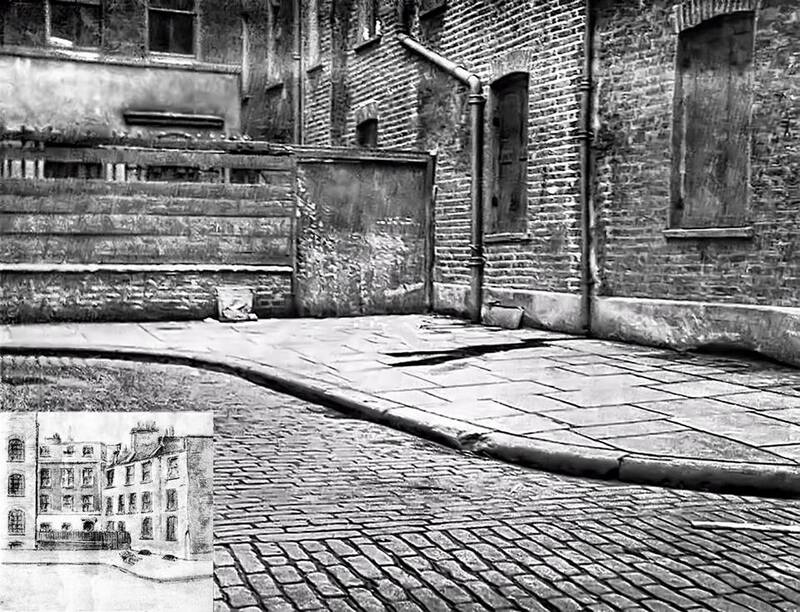 On the whole, then, that gateway in Berner Street would form a very safe place for any operations of the Ripper just now. or another, seemed to possess a right of way through the passage, and so into the yard. One would have thought that after such a revelation as that some steps would at least have been taken to put a stop to such a scandal. the Ripper in a paroxysm of fury plucked out the entrails of another victim. And yet, what an outburst of popular indignation there would be if another butchery occurred on the self-same spot that reeked before with the blood of a murdered woman! 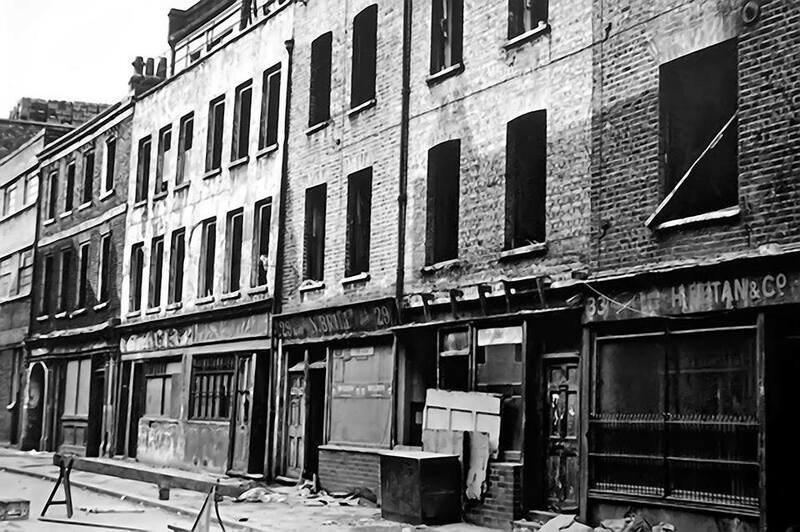 Dorset Street, Castle Alley and Pinchin Street. 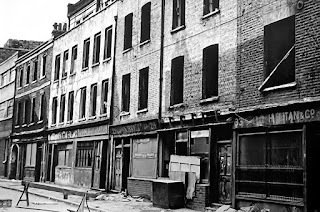 What is true of the house in Hanbury Street is true also, though in a lesser degree perhaps, of the lodging-house in the court off Dorset Street, where the discovery of another mutilated victim cast a gloom on the Lord Mayor's festivities of two years ago. 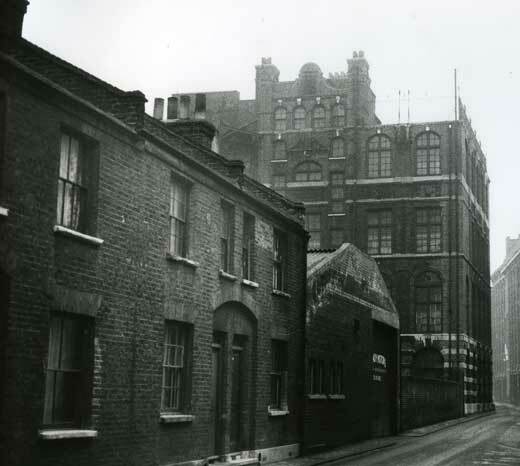 It was the boldest stroke of all when the Whitechapel fiend decoyed, his victim there. And what boldness - or rather absolute wantonness accomplished before, it can doubtless accomplish again. There is some prospect at last of the vile hole known as Castle Alley, where the last murder occurred, being swept off the face of the earth, for the Whitechapel Board of Works have lately decided to.convert it into a public thoroughfare. 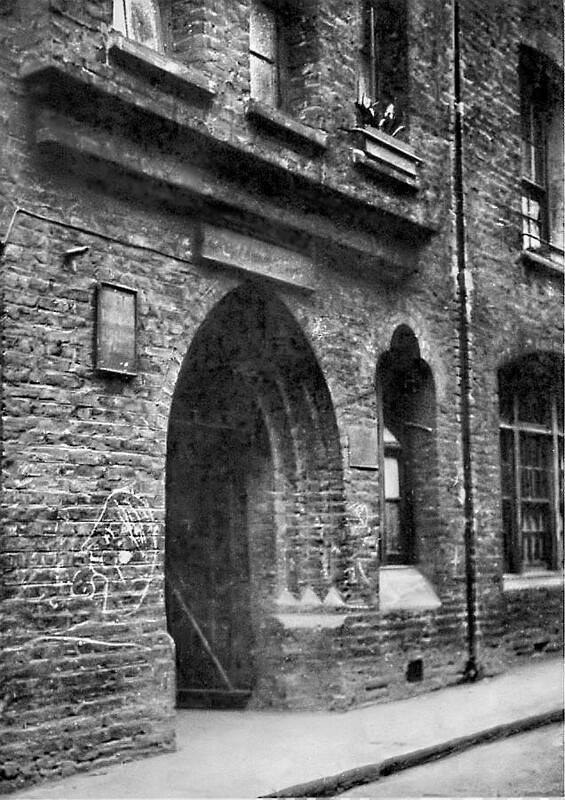 But the archway in Pinchin Street remains in precisely the same condition in which it appeared when the sackful of human remains was found beneath it. 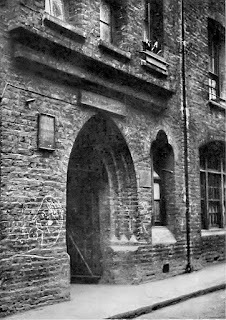 That archway, it may be remembered, forms but one of several, some of which are partially boarded up from the street, and which form, at the present time, an acknowledged resort of unfortunates, who ply, almost undisturbed, their degraded trade there. the juries were ushered into the "mortuary," as it is called with the grimmest of humour, to examine the dead bodies of the victims deposited there. Or rather, to speak the literal truth, the shed is more mouldy, more foul smelling, more worm-eaten, and more useless for its purpose than ever. It is but fair to say, however, that the Board of Works have got so far as the plans and the site of a new mortuary - and not, assuredly, before it was needed. "But are the conditions precisely the same for the perpetration of murders as was the case two years ago - are intended victims to be decoyed as easily as then?" some sceptical reader may ask. The personal investigations of the writer have convinced him that, should the Whitechapel Terror appear in our midst again bent on the same murderous mission, he would find the conditions precisely the same as before, and his victims just as easily decoyed and just as numerous. 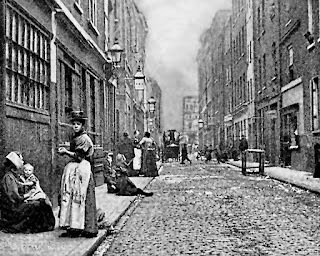 The unfortunate class in Whitechapel and St. George's, or rather the lower unfortunate class, from whom. the victims were chiefly recruited - for there are distinctions even in degradation - is just as numerous as ever it was. They form the very dregs of humanity. Better conditions. of trade and better conditions of labour affect their numbers not at all. 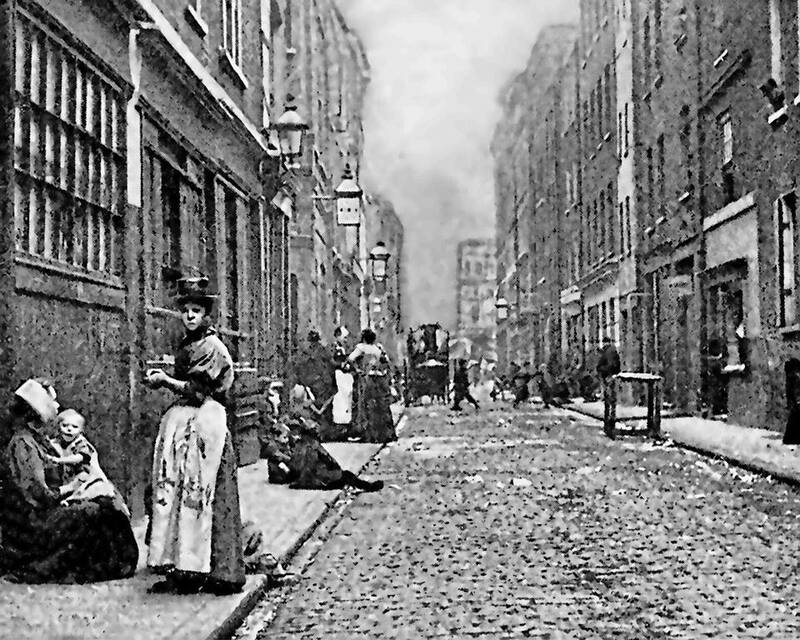 They drift down through a life of shame until they become veritable pariahs even among the unfortunates in other parts of London; until the streets of Whitechapel become their only home, and immorality, in its very worst form, their only resource. The very worst of disorderly houses will seldom open their doors to them and the practising of their vile trade in the courts and alleys and archways of the district constitutes their only resource against absolute starvation. Prowling through this district for the greater part of nearly every night, and sleeping for the rest of the night in one or other of these plague spots, they have the locality of each at their fingers' ends, and long experience has made them equally well acquainted with the exact time at which the policeman, on beat passes each of these places. What need of decoying these creatures? The very exigencies of their degraded calling make them accessories to their own murder. God help them when they get in a would-be murderer's hands. This article was published in the Pall Mall Gazette on the 2nd October 1890, the authors warnings were quickly verified when on the 13th February 1891 the body of Francis Coles was found in Swallow Gardens, Whitechapel, with her throat cut. * The writer seems to be suffering from a bout of laziness here, the body was quickly identified as that of Mary Ann "Polly" Nicholls, not Annie Hyde.